Accreditation and Other External Evaluations of Quality and Safety of Care and Services: Innovations for Improvement? Lean Healthcare: What Is the Contribution to Quality of Care? Value-Based Healthcare: Utopian Vision or Fit for Purpose? 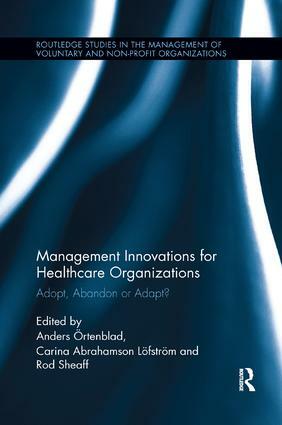 Should Healthcare Organizations Adopt, Abandon or Adapt Management Innovations?